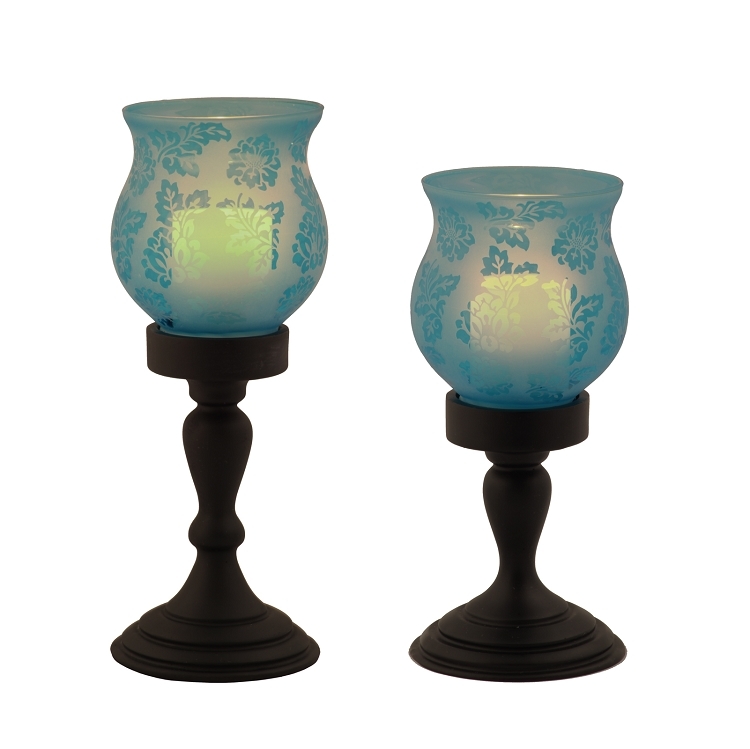 This is the new update to the Wilmington Hurricane Set which has been discontinued. 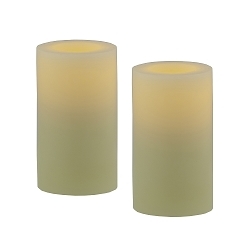 This attractive pair of Chesapeake Hurricanes with flameless pillar candles provides a tasteful ambiance to any interior room in your home and is suitable as a centerpiece in a formal setting, a hallway table or fireplace mantle. 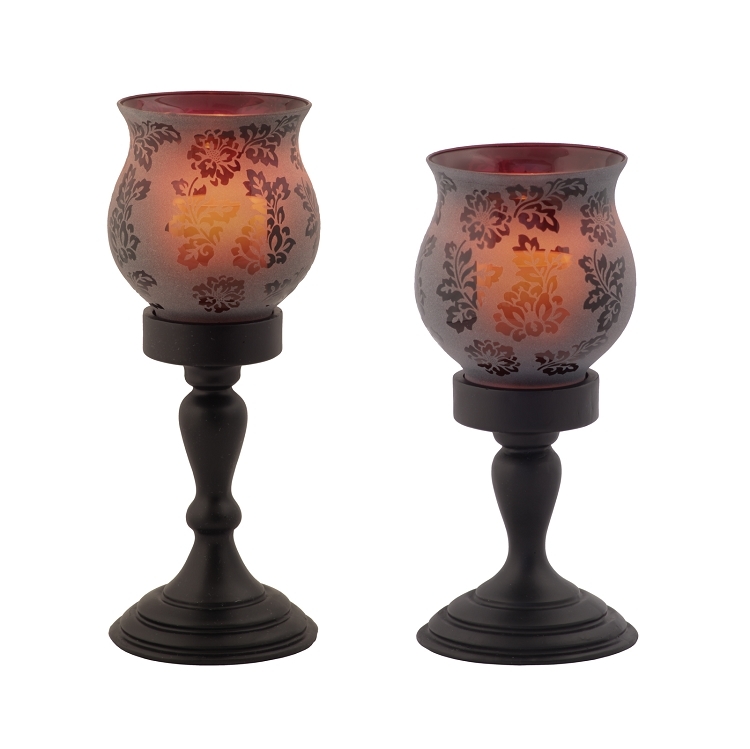 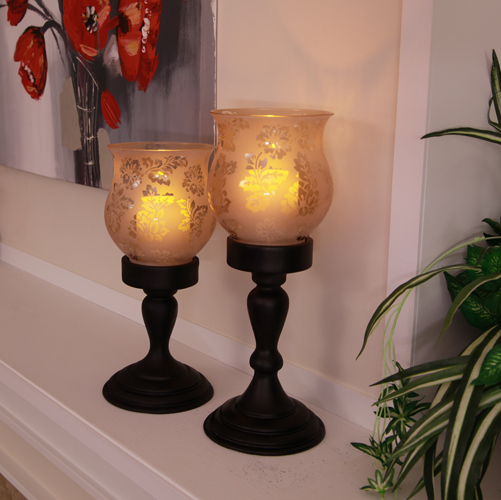 An elegant etched glass shade covers a flameless candle with a selectable 4 or 8 hour daily timer and rests upon a graceful ebony colored base. 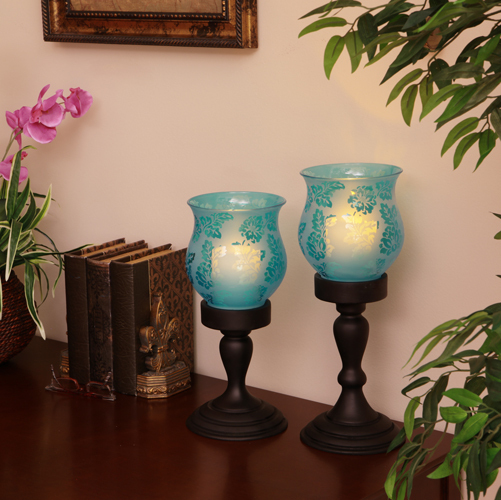 When illuminated, the hurricanes create a soothing impression of harmony with their warm, flickering glow. 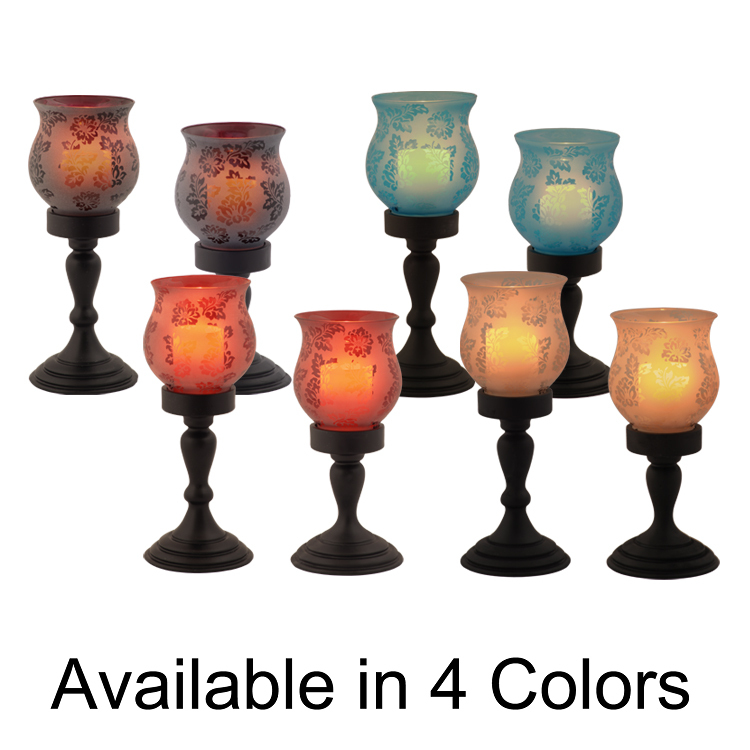 The Chesapeake is available in blue, plum, cranberry and golden brown. 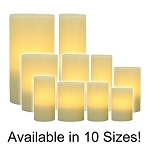 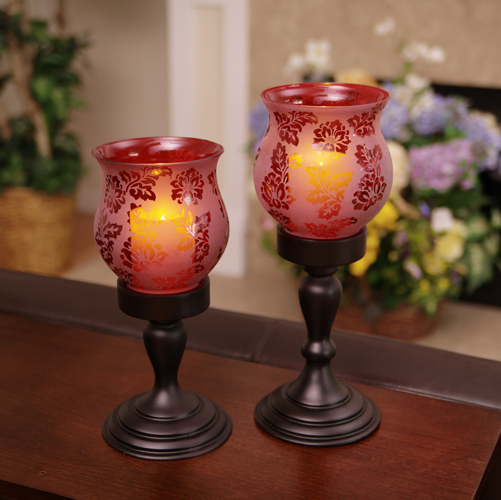 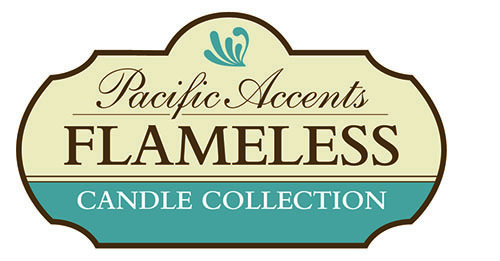 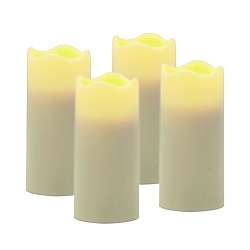 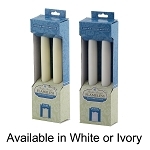 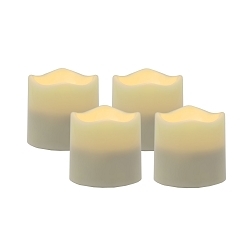 Each hurricane holds a 3 x 4 inch flameless candle and measures 7 1/8" x 19 3/4" & 7 1/8" x 16 1/2". 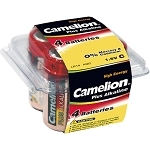 The set requires 4 C Batteries (Not Included).